Hi, my name is Katie and I am afraid of fish. Specifically the idea of eating fish or touching fish makes me feel all ookey inside. I get this weird feeling in the small of my back that makes me wriggle when I think about either of those things. Also, I have problems with smelling fish or being too close to fish. 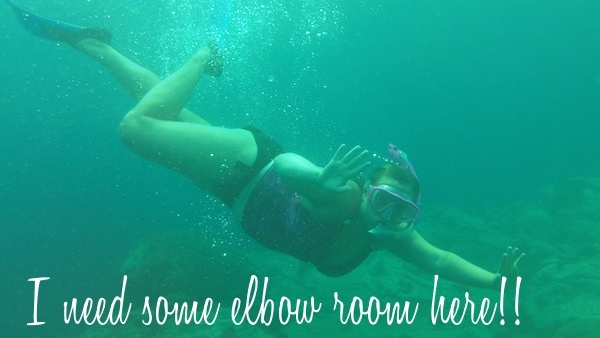 I know what you are thinking, how do I handle scuba diving? First of all, I wear a wetsuit while diving to minimize the chances of actual skin contact with a fish. But there is also something magical about scuba diving because when I'm down there, it's like being an observer in a completely different world. The fish don't care that I'm down there watching them, and I do my best to give them (and me) some serious elbow room. I've had some recent encounters with fish that have made the people around me curious. This last week we went to dinner at Iguana Cafe where they primarily cook fish. The guy next to me ordered shrimp, so I thought I knew what was coming. Instead of typical American shrimp though, the waiter puts this massive crayfish down right next to me. I immediately jumped up with my plate because it felt like the extra long antennas were going to touch me or my food. Uck! 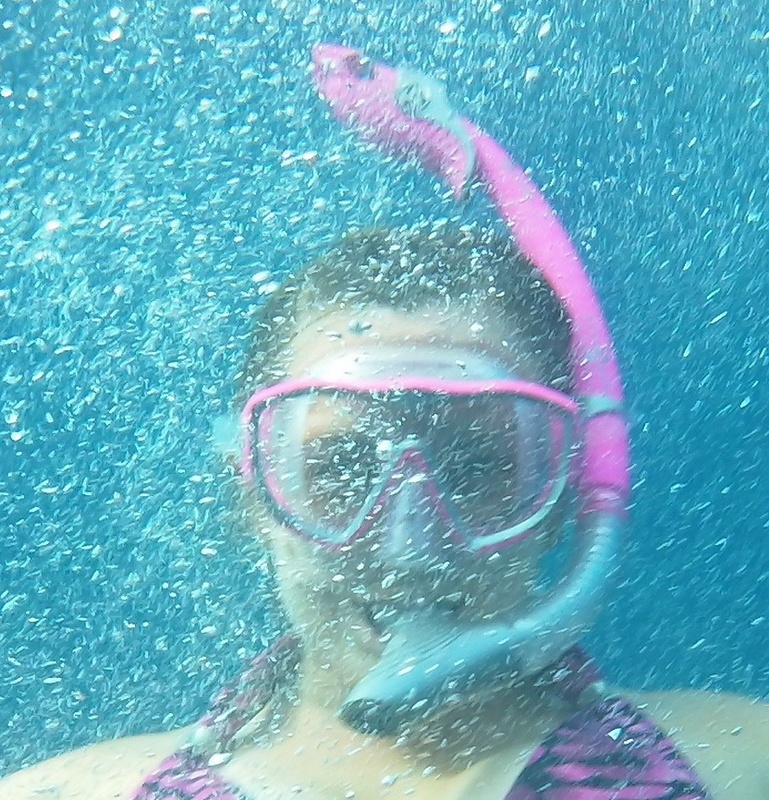 While snorkeling in Champagne Bay I pushed the limits of my fear by being so close to so many fish. Snorkeling there was beautiful, but there were just too many fish at once. At one point, there were several schools of fish that kept surrounding us, and I ended up swimming directly behind one of my friends hoping her movements would make the fish swim off. I started to get all queasy inside and felt the need to get out of the water immediately- which makes no sense at all. I like to call my problem a "mental allergy." Rationally, I know fish are not going to hurt me. I know that eating a bite won't kill me. However, I just can't bring myself to eat or touch one. You're my kind of girl, Katie! I don't know how many times in my life I've had to say "No, I don't like shrimp. Yes, really. No, I don't eat fish either. No seafood at all, really." People make me feel like an alien! *high five* to us. I want to be that friend that breaks your allergy. Come to Korea and I will show you the phallic pee pee fish. I kid you not, I will be thinking of you when I take my first bit into the rubbery flesh. Somewhat like me! I’m not afraid of fish, but I refuse to eat it. It’s just… nasty to think about. I don’t know how to explain it. I actually love learning about fish and watching Animal Planet shows that talk about fish. And, I even love fishing! But, I just can’t imagine eating it. I’ve tasted a lot of sushi and fish, and even if it tastes good, I just… I don’t know. Hahah.